Size 7.6 x 3.8 cm with a height increase of 1.3 cm. 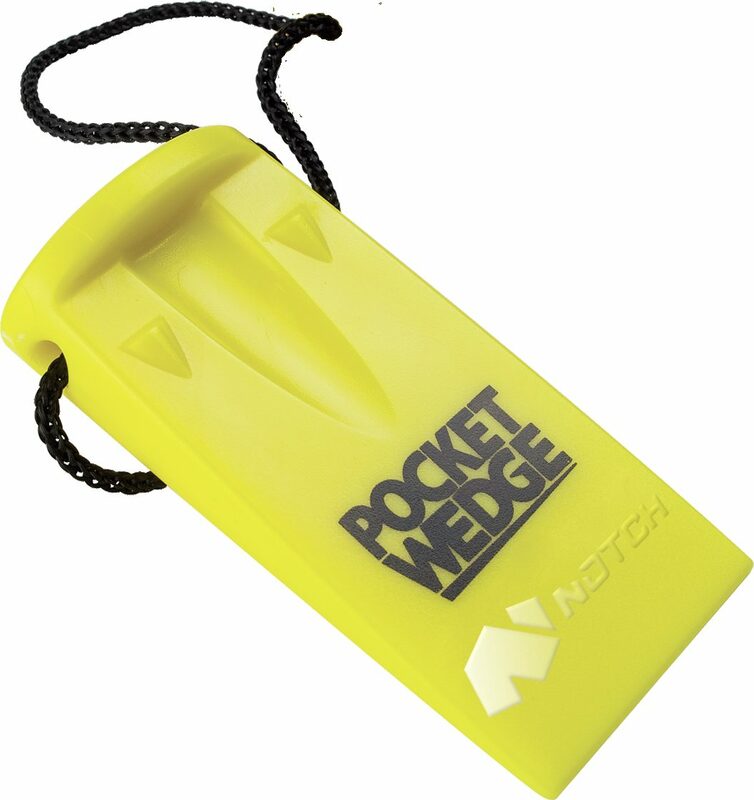 Small plastic pocket wedge for climbers (not a felling wedge). Carry it in your pocket or attach to your belt with the loop provided but always have it to hand. The wedge is light and very precisely made so it's easy to use.